When you pick up your prescription from the pharmacy, you assume it has been filled properly and basic standards of care have been followed. You assume the pharmacist has filled your prescription with the correct drug and the correct dose. Sadly, this is not always the case. One mistake by the pharmacist could cause serious injuries, both immediately and long-term. In fact, typically a pharmacy tech making $10-$12/hour who fills a prescription under a pharmacist’s supervision. In most pharmacies, the ratio of techs to pharmacists is getting higher and higher and the amount of actual supervision is extremely rare. Hence, it’s no surprise that the incidence of misfilled prescriptions is so high. According to the nationalacademies.org, medication errors harm at least 1.5 million people every year. The costs of treating injuries from medication errors in hospitals alone have been estimated to be at least $3.5 billion dollars a year. This amount does not include other factors that can disrupt or destroy lives such as pain and suffering, disability, medical expenses, and lost wages. The nationalacademies.org also mentions, it is estimated that there is at least one medication error per hospital per day. Approximately 7,000 deaths and 400,000 preventable drug-related injuries occur each year in hospitals alone. Medicare recipients in outpatient clinics alone are victims of roughly 530,000 medication errors each year. Most pharmacy prescription errors will not be serious, but for some, the damage will be tremendous, resulting in permanent injury or death. Pharmacy errors due to negligence can occur in hospital pharmacies, chain pharmacies, and local neighborhood pharmacies. Jon Lewis won the Alice Nail v. Publix Super Markets, Inc. and appealed a summary judgment taken to the Supreme Court of Alabama in 2011. Danny Feldman won a confidential settlement for 5 million dollars for a child born with significant kidney damage (looking at decades of dialysis) due to a misfilled prescription. We represent those who have suffered due to pharmacy errors caused by negligence. 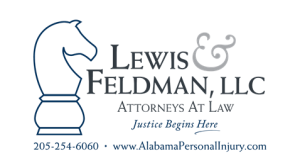 If you or a loved one has been injured from a misfilled prescription, please schedule a free initial consultation and case evaluation by calling Lewis & Feldman, LLC locally at 205-254-6060, toll-free at 888-295-7409 or complete our contact form. You can also email us at jon@LewisAndFeldman.com and dfeldman@LewisAndFeldman.com. We will listen to your case and go over your legal options and how we can help you. We will work diligently to get you the compensation you deserve. We’re the Alabama misfilled prescription attorneys who can help you receive the justice you deserve.